Smartphones nowadays contain a lot of sensitive data. Our banking apps, note-taking apps, gallery apps, etc. need to be secured from prying eyes. Also, when we hand over a device to a kid, we might want to prevent him from accessing apps on your phone. So, how do I lock my apps? An app locker for Android can provide utmost security from unwanted access. 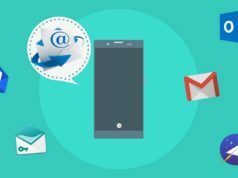 Although some devices come with a built-in app locker, most Android devices don’t. Thankfully, there is no shortage of apps locker for Android in the Play Store. Note: This list isn’t in order of preference. Readers are advised to choose any app they find best. 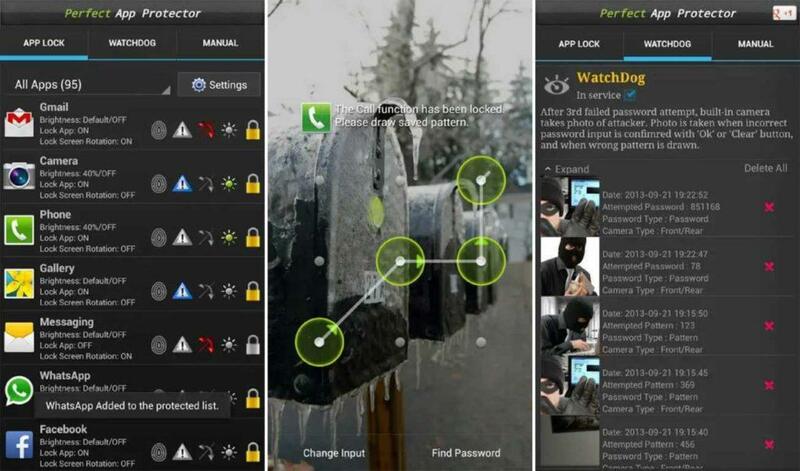 AppLock is a popular Android lock app that is preferred by a lot of users. You can use it to password protect any specific app on your phone and prevent unauthorized access. It allows you to hide photos and videos from the gallery and store them in a private vault. 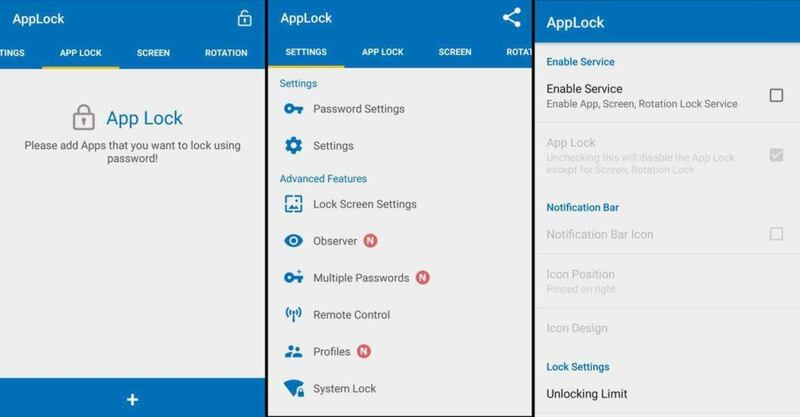 After you install this Android lock app, you will need to create a master pattern lock and use it everytime you access the application. You can even hide the app icon from app drawer so that intruders can’t access it easily. Moreover, you can set different profiles to lock different apps, add a fake cover to locked apps, enable fingerprint recognition, etc. 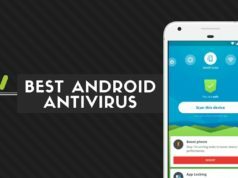 Norton is a big name in the field of antivirus software vendors. However, the company also offers an ad-free Android app locker. You can lock up your apps by a PIN/pattern, or a fingerprint scanner. 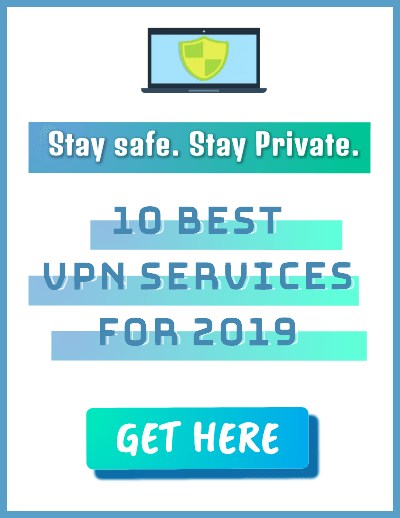 Apart from securing your applications, it also allows you to safeguard photos, prevent uninstallation of the apps, and capture pictures of intruders. 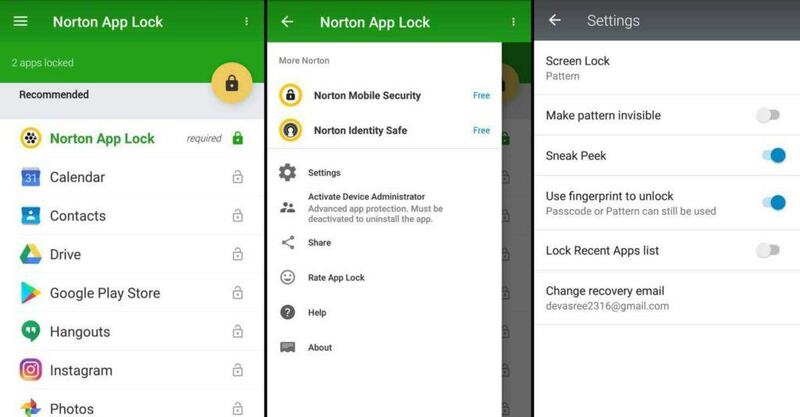 Norton App Lock provides a recommendation list where it suggests the apps that you should lock up. It is bloated with a lot of features. But, it can still be an appropriate choice and does its job reasonably well. 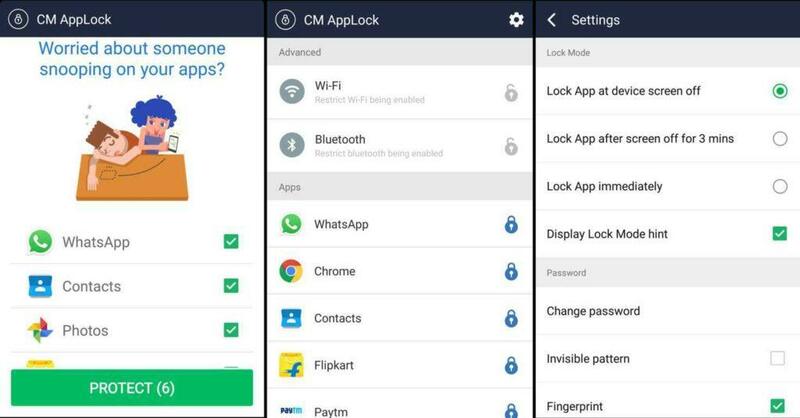 AppLock-Fingerprint Unlock by Cheetah Mobile is a lightweight Android app lock that allows you to use your fingerprint sensor to lock apps. You can also use a pattern or create a numeric PIN to lock phone app. Apart from the standard applications, you can also use it to lock the Wi-Fi, Bluetooth, incoming calls, and your phone Settings. It has an “Intruder Selfie” feature that can snap a photo of whoever fails to unlock your apps. You can also customize the lock mode and set a timer for it. This Android lock app is entirely free with no ads. 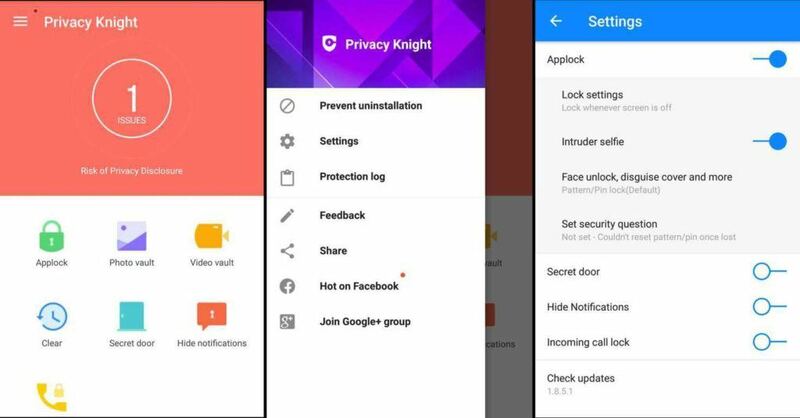 Privacy Knight is of one the best app lock for Android that covers some excellent features to secure your apps. It is ad-free and does not contain any in-app purchases. The app gives you different methods to lock your apps. You can use a PIN/pattern, fingerprint scanner, face tracking, or a Disguise cover such as to blow, shake, or use a crash message to unlock. You can hide private photos and videos, prevent uninstallation of the apps, hide notification preview from apps, etc. It can also capture a picture of anyone who types the wrong password. 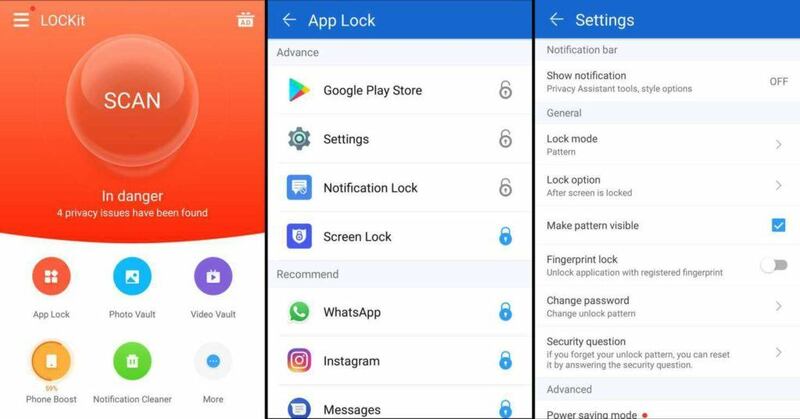 Although not as popular as other app locks for Android, it has almost all the essential features. 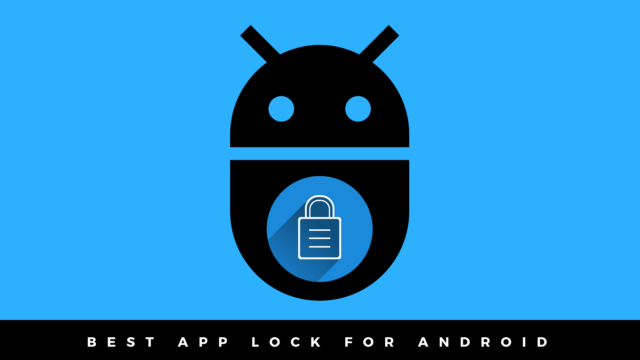 AppLock – Fingerprint is a decent Android lock app that has a user-friendly interface. You can secure your apps by using a PIN, pattern, or the fingerprint scanner. There are options for screen and rotation lock where you can add apps for locking their screen backlight and screen rotation. You can create different passwords for each locked app and also add a fake icon on locked apps. It can also snap a picture of anyone who tries to unlock your apps and send it to your email address. The app is available in 30 different languages, and you can also upgrade to the premium version to remove ads. However, the free version covers all the necessary features, and the number of ads in the app is very less. AppLock by IvyMobile allows you to lock pretty much everything in your device. Apart from all the third-party applications, it will enable you to secure your contacts, gallery, settings, email, etc. You can use a PIN or a pattern lock to protect your applications. It has the option to hide the pattern, draw or use a shuffled keyboard. You can also enable it to take a picture of anyone who fails to unlock the apps. Moreover, you can replace the Applock icon with a fake icon like an alarm clock, calculator, etc. This Android app locker is ad-supported. Perfect AppLock lets you secure any application on your device with a PIN, pattern, or a gesture password. Apart from the third-party apps, you can lock up your Wi-Fi, Bluetooth, and your internet data. 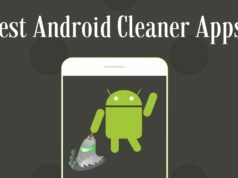 It has a “Screen Filter” feature where you can manage screen brightness of individual apps and a rotation lock to prevent unwanted screen rotation. The built-in camera can take a photo of the intruder after three failed attempts. Moreover, you can lock outgoing and incoming calls, and it can also display fake error messages on locked apps. All the functions are available for free, and the app is ad-supported. LOCKit is another impressive apps locker for Android which can also guard your private files. You can use the app to lock your phone screen as well. It has a built-in file scanner, phone booster, and notification cleaner. You can use a PIN or a pattern to create your master password. You can even hide the pattern draw path and make it invisible or display a shuffled keyboard while typing. 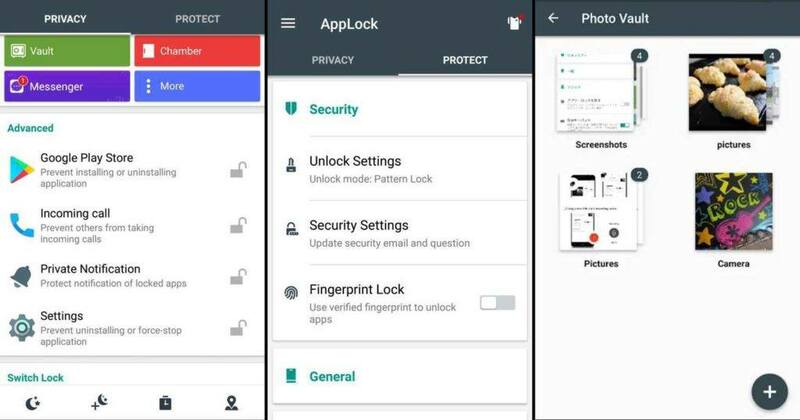 Moreover, this Android app locker allows you to hide your private photos and videos from your gallery and secure them inside separate vaults. 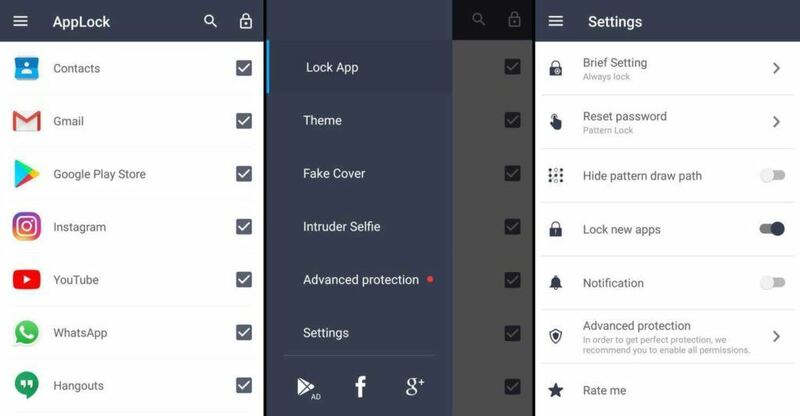 There is a power saving mode, intruder selfie, and you can also enable it to prevent uninstallation of locked apps. It is free with no in-app purchases and contains ads. Did you find this list of app locks for Android to be helpful? Share your reviews in the comments below.